يقع في Lalomalava, The Savaiian Hotel إنه المكان الأنسب لاكتشاف Salelologa و ما يحيطها. يحظى هذا الفندق ذو 3 نجمات بمكان ممتاز يسمح بالوصول إلى المعالم السياحية الأكبر في المدينة، فهو يبعد مسافة 3 km عن صخب المدينة. يوفر الفندق بفضل موقعة الجيد وصولاً سهلاً إلى أهم معالم المدينة.
. يقدم The Savaiian Hotel خدمات لا غبار عليها وكل أشكال اللياقة وحسن الضيافة اللازمة لإسعاد ضيوفه. إن تسجيل وصول/تسجيل خروج خاص, خدمة سيارات الأجرة, واي فاي في المناطق العامة, صف السيارات, خدمة الغرف هي جزء فقط من الخدمات التي تميز The Savaiian Hotel عن باقي الفنادق في المدينة. في الفندق غرف نوم يتجاوز عددها 10، كلها مجهزة بعناية وجمال وبعضها مزود بـ مناشف, شاي مجاني, قهوة فورية مجانية, مرآة, بياضات. يقدم الفندق العديد من الفرص للاستجمام كمثل حمام سباحة خارجي, غوص, صيد السمك, ملعب للأطفال, حديقة. يحظى فندق The Savaiian Hotel بموقع ممتاز وخدمات يصعب منافستها. Very friendly staff, they remembered my name after the first day. 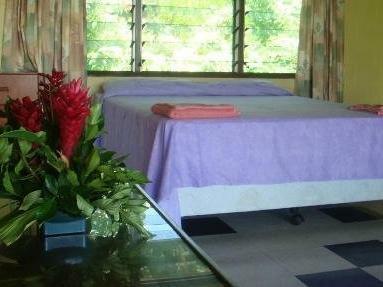 Most of the rooms are separate Samoan style "Fales" in a garden setting. The hotels reception and restaurant are open sided so the beautiful views along the coast can be enjoyed while dining. 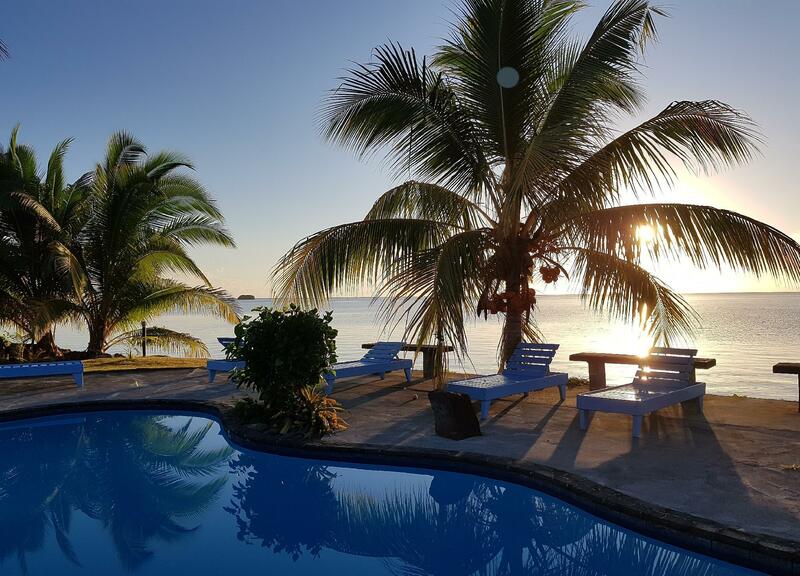 You need to catch a taxi from the ferry wharf, as the hotel is a short drive from the main village on the island. The staff are very nice: knowledgeable. The food was okay. The Samoan coffee was good. Lovely views all around the property. Kayaks available on the property. 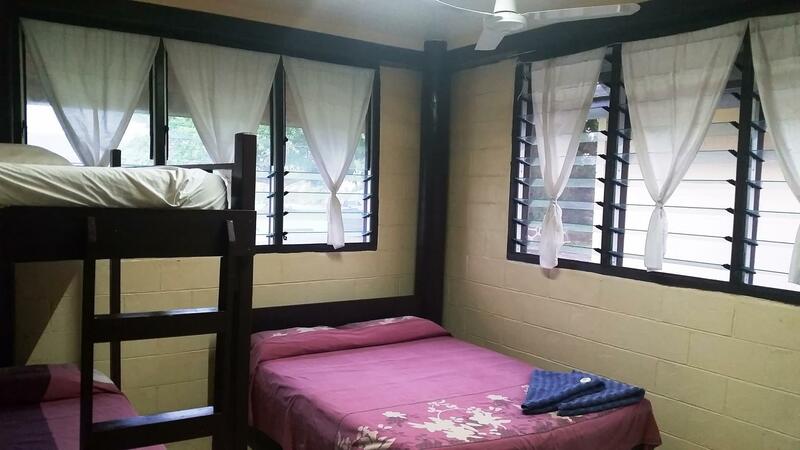 Nice layout to the rooms and hot water in the shower, plus a working air conditioner. The bed was comfy. The only downside is the constant noise from the rooster, chickens and cats. Very basic hotel in need of maintenance and updating. The bathroom had a putrid smell coming from the drain. Would not recommend staying here. Short but good! Wifi is expensive though.$15 for an hour is pretty crap. Reception and restaurant staff were great. friendly & helpful staff, quiet surrounds. Good, clean, comfortable budget accommodation with new swimming pool (still finishing landscaping) but no sandy beach, just rocks. Kayaks available free for guests. Quite good stay - very relaxing and the food was excellent! 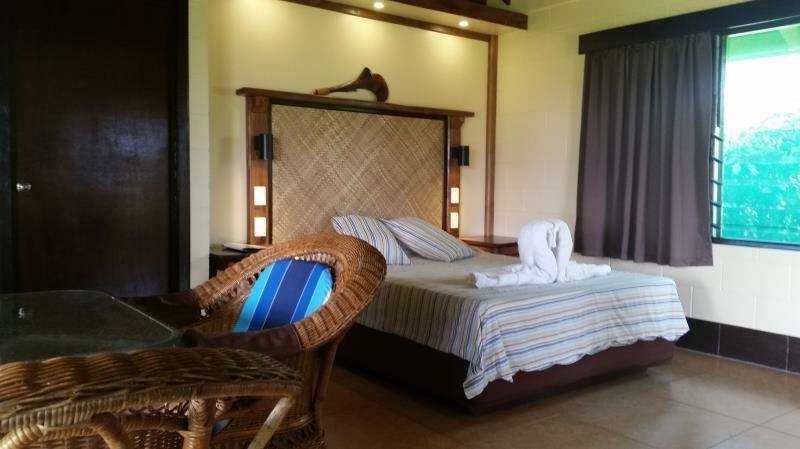 the bungalow / fale we had with aircon, was quite nice - at least for the local standard there.... bit shabby and outdated, but believe one of the best hotels considered on the island! no restaurantes close by, non even open during the rainy season on the island, so had to stick to restaurant at the hotel every evening! breakfast was .... well, toast - banana and papaya... so don't expect much if you are a big breakfast eater. although hotel is right on the water side, there is no beach but rocks! you need a car for exploring the island! 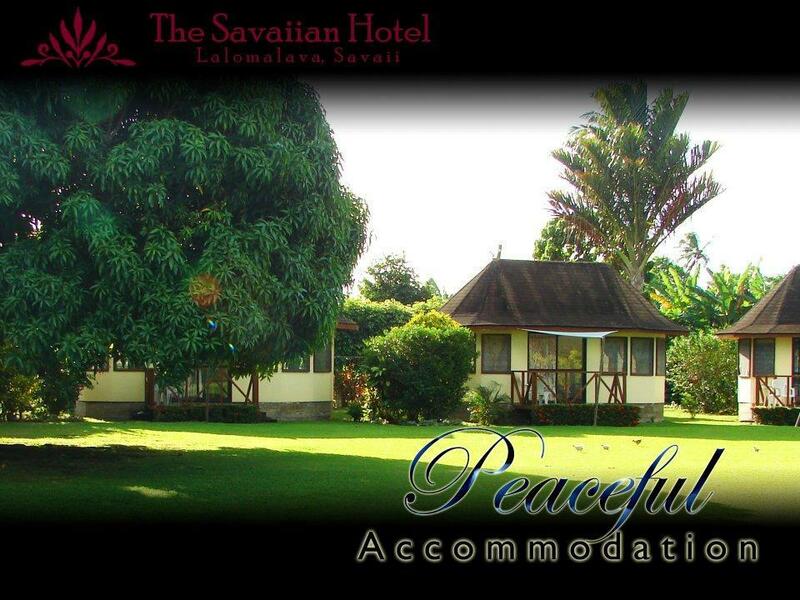 Savai doesn't have a large choice in accomodation in this price level. The hotel is OK, but rooms and grounds need some work. The pool looks like it hasn't been open for months. The staff speaks very little english so lots of confusion on just about everything. 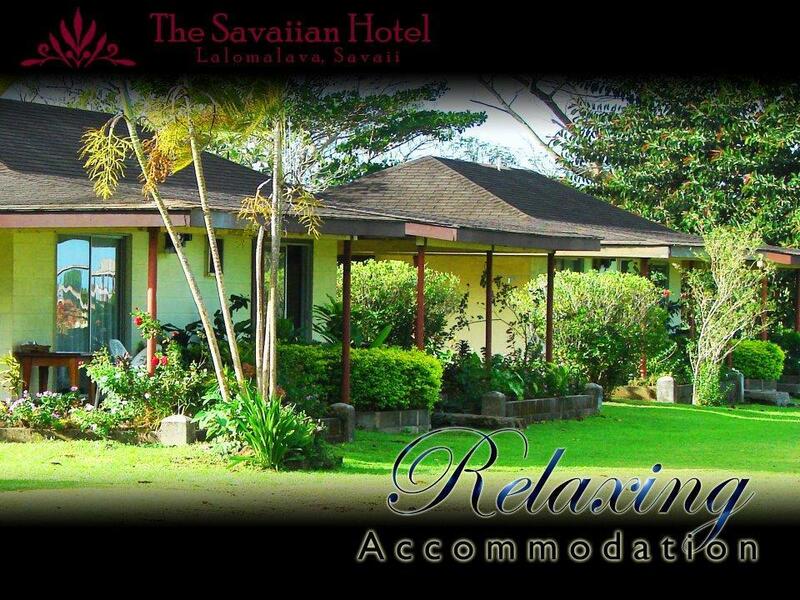 my husband and i stayed at the savaiian hotel recently for four nights and found it good value for money, close to the ferry terminal with friendly staff in attendance. we also took one of the tours offered by the hotel and found it to be good value except for the cave venture which included a local guide whose torches were flat and made viewing very difficult. the hotel also provides a free demonstration by one of their own workers of basket weaving and making coconut cream. we were not impressed with the swimming pool at the hotel however, which needed proper maintenance and refilling. the hotel also offered extended checkout time at no extra cost. I would 100% go back The Bungalows are great though bring mosquito repellent. The place is a family owned business and the husband does the Island tours also. The staff is so warm and friendly and really go out of their way for you. The food at the restaurant is A Grade. Simple clean room, chalet-style in nice garden. Pleasant friendly staff and good food. Clean rooms with clean bedding and towels. war gut. habe dieses hotel ausgewählt, da es sehr nahe zur fähre liegt. hatte nicht viel andere gäste, darum war es sehr ruhig. grosse anlage direkt am meer, ist aber nicht sehr geeignet um im meer zu baden. es hat aber einen pool.